Both Idaho and Utah are ideal states to retire in, but which is better? Idaho and Utah have a lot more in common than you might think. Both states offer majestic mountain views, abundant open spaces, outdoor recreation, and are great retirement destinations for active adults. Retirees flock to these states not only because of their varied climates, diverse topographies, and reasonable cost of living, but they also have a great selection of 55-plus communities near prime locations such as Brooke View in Boise, ID or Brio in St. George, UT. While Utah and Idaho share some similarities, there are a few differences that set them apart that may impact your decision when searching for a 55+ community to call home. Check out how these two states stack up against each other. Utah and Idaho experience varied climates due to their diverse landscapes. Idaho’s weather varies due to the patterns off of the Pacific Ocean with the northern portion of the state getting more precipitation and colder winters with more snow, while the southern part of Idaho enjoys a warmer climate. Utah’s climate varies because of its mountainous landscape, which brings dry, semi-arid, and desert climate, and its location in the rain shadow of the Sierra Nevada and Wasatch Mountains, which brings more precipitation. Utah’s weather is also affected by the Pacific Ocean. A majority of its precipitation comes from the fact that the state is located in the path of Pacific storms from October to May and, during the summer months, the eastern and southern parts of Utah are in the path of monsoon moisture from the Gulf of California. Both states offer different landscapes. Utah’s topography ranges from deserts and sand dunes to forests and mountain valleys. Idaho is a bit more rugged and is made up of mountains, lakes, and canyons and features major rivers like Snake River, Clark Fork/Pend Oreille River, Clearwater River, and Salmon River. Not to be outdone by Idaho, Utah also offers natural beauty and features canyons, reservoirs, snowy mountains, and the Colorado River winds its way through the state’s terrain. With diverse topographies, Idaho and Utah offer beautiful natural landscapes, wildlife, and plant life. 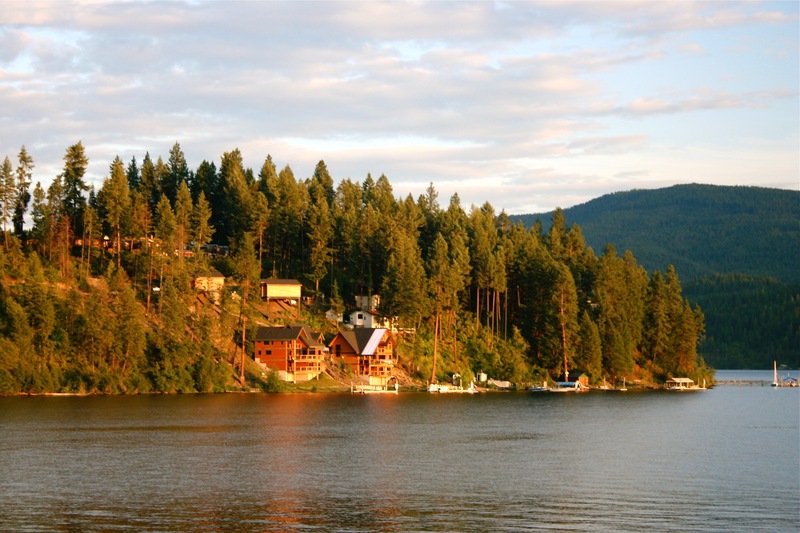 Idaho is a relatively tax-friendly state that may appeal to retirees. Social Security benefits are not taxed at the state level and the state’s property and sales taxes are low compared to other states. Idaho also taxes other forms of income like retirement income from a 401k or IRA at different tax rates that may range from 1.6% to 7.4%. Unlike Idaho, Utah does tax Social Security retirement benefits as well as pension income and incomes from other retirement accounts are also subject to the state’s 5% flat income tax. Although the state does collect tax on retirees’ income, they may be able to claim a small credit against those taxes. Idaho has a cost of living that is 5% below the national average while Utah’s cost of living is slightly higher, coming in at 3.8% above the national average. Park City, UT is one of the most expensive cities in the state to live in due to its luxurious ski resorts and lavish homes. Retirees may be able to find more affordable homes in active adult communities in nearby areas, including Garden Park at Daybreak in South Jordan, UT or SunRiver at St. George, UT. Expensive cities in Idaho to live in are Boise and Coeur d’Alene, both of which have a higher than average cost of living. More affordable cities like Idaho Falls or Meridian have a lower than average cost of living. Both Idaho and Utah offer top-notch hospitals that provide some of the best care and are highly ranked. There are five top-ranked hospitals in Idaho, two of which are known for their high-performing specialties, including Kootenai Medical Center in Coeur d’Alene and St. Luke’s Regional Medical Center in Boise. Utah also has a variety of regionally ranked hospitals throughout the state such as University of Utah Hospitals and Clinics, Intermountain Medical Center, and Dixie Regional Medical Center. One of the biggest draws to Idaho or Utah are the state’s outdoor recreation and activities. Both states share these qualities, making each an outdoor adventurer’s paradise. Active adults can take advantage of the miles of hiking and biking trails, natural open spaces, rugged mountain terrains, rivers, lakes, and parks. Idaho is home to numerous state parks and wilderness areas that offer camping, fishing, white water rafting, horseback riding, skiing, and snowboarding in popular areas like Burgdorf Hot Springs, Boise Depot, Clearwater National Forest, and Bonneville Point. Utah also embraces its beautiful outdoor environment thanks to its Wasatch Mountains and national parks like Bryce Canyon, Canyonlands, Zion, and Capitol Reef. With endless options for outdoor activities, active adults won’t have a problem finding something fun and exciting to do in any season in Idaho or Utah.